I am easily tempted by Amazon’s Kindle Daily Deals, and often buy a book I might not otherwise buy, because it’s cheap and it sounds interesting. 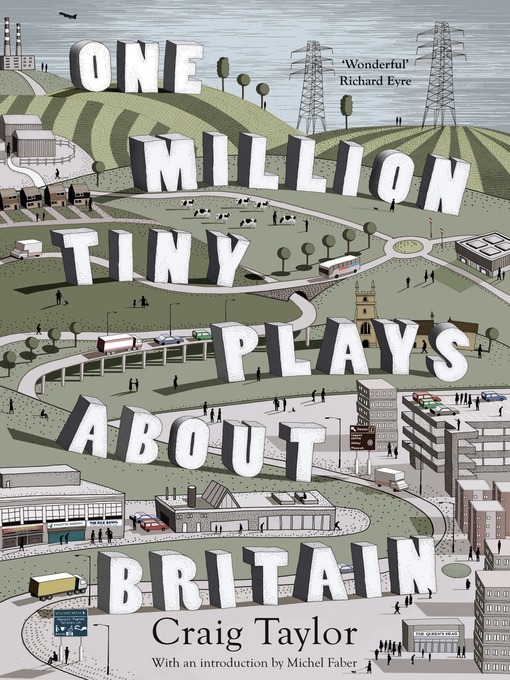 Last week’s purchase was One Million Tiny Plays about Britain, by Craig Taylor, who, among other things, writes for The Guardian, and it is from his column of the same title that this book is derived. As someone who loves overhearing conversations on the bus or in the street, and often reports amusing ones to friends, I found this book particularly appealing. These snippets of conversation are imagined, not really overheard, although one can imagine that many of them were inspired by real life, as there is often the ring of truth about them. Each ‘play’ is quite short, and they don’t link up at all, so it’s easy to zoom through them (I had read nearly half the book in one sitting before I remembered that I was only going to have a quick look at it), but the plays provide some remarkable insights into people’s characters, as well as into contemporary life in Britain. The characters who appear in the plays are from all walks of life, and a range of nationalities, but they all appear in different places in Britain. The reader is launched into a conversation between (usually) two protagonists, and after a crucial moment, the dialogue ends. I was often left wondering what had come before, and what would happen next, which is the point, I think: you have to use your own imagination to get the most out of the plays. You can read the plays as entertaining, some very funny, but actually there is more to see: some are sad, such as the confused elderly woman talking to a visiting nurse; some are amusingly familiar, such as the father trying to stop his small daughter talking; and some are just hilarious and made me want to read them out to anyone who would listen. The plays have also been performed, and you can see a taster here. The plays cover a huge range of aspects of contemporary British life, from immigration and racism, to relationships, love and infidelity; sport, shopping, house-buying; drunken behaviour and crime, and emo teens. You could read this book in a couple of hours, but it’s worth spending more time over, as each play is well-crafted and conjures remarkably vivid scenes and characters with just a few words. It exposes Britain in all her glory, or otherwise, and is irresistible. At a time when we are celebrating all things British, it seems appropriate to read this book. Man 1: Well, they only install domestic-grade products, so only up to 8 feet tall. Man 2: But do they do triples? Man 1: Yes, of course. Call him – he’s a lovely bloke, though he’s a bit of a disaster. I have no idea what they were talking about but was highly amused. You have been warned: this book will turn you into an eavesdropper.